This is located at the top of the hill behind the settlement at Lake Ferry adjacent to the grey water feilds associated with the community sewage scheme. 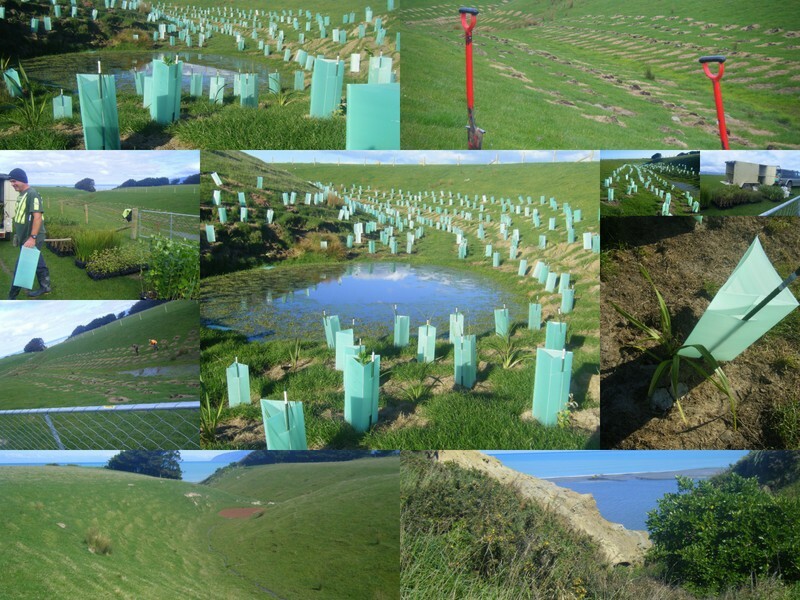 South Wairarapa District Council have commited to fencing a gully off (as per their resource consent requirements) and are planting in winter 2013. We have been providing input on the design and planting plans. As part of the plan for recreational landuse within the Wairarapa Moana catchment a walkway and lookout is planned for this area - the intention is to site this adjacent to the newly developed area.